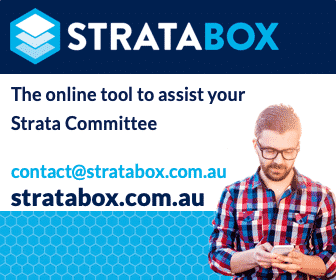 You are here: Home / Committee Concerns / Committee Concerns WA / WA: How Will the New Strata Titles Legislation Affect our Council of Owners? WA: How Will the New Strata Titles Legislation Affect our Council of Owners? This article about how the reforms to WA strata legislation will affect the council of owners has been supplied by Andrew Chambers, Chambers Franklyn Strata Management. How will the coming reforms in WA affect the way the Council of Owners operates? We cover the major changes you need to know about if you are a part of the Council of Owners in your scheme. Section 135 (formerly section 44) is now where you will find the functions and the constitution of council. The functions of a strata company will subject to the Act and any restrictions imposed by an ordinary resolution be still performed by the council of owners. One of the major changes is the way the Council is now elected, previously if an election was called the votes were counted by number, however now section 135 (3)(a) states that a person who is entitled to vote in the election and who is present in person or by proxy at a meeting may demand that the votes in the election be counted by unit entitlement of lots. This means that those who have a higher unit entitlement will have a higher voting capacity. Section 135 (4) now formally states that one of the members of the council must hold the office as chairperson of the strata company. It is also interesting to note that the previous word Chairman has now been replaced by Chairperson, which is more socially acceptable. There is now more accountability for members of the council under the new legislation. Previously there was no formal requirement in the ACT for council members to act in the best interest of the strata company nor declare any conflicts (although common law would usually require this) the new ACT now addresses this under section 137 which now requires that a council member must at all times act honestly, with loyalty and in good faith. They must also at all times exercise the degree of care and diligence in the performance of the functions that a reasonable person in the person’s position and the circumstances of the strata company would reasonably be expected to exercise, nor should they make improper use of their position to gain directly or indirectly an advantage. In summary, council members must disclose any conflict of interest and not vote on any matter in which they have an interest. Another very important addition is the protection of Council members (section 141) this states that a council member is not liable in any civil proceedings for any act that they do in good faith when performing the role of a council member. So there is good news for members of the council in the new legislation which hopefully will encourage more owners to take an active interest in the running of their strata properties. This post appears in Strata News #242. WA: Reforms to WA Strata Legislation – As a Lot Owner, Should I Care? Visit Strata Law Reform OR Strata Information WA. Are you on your Council of Owners and have a question or something to add to this article about the coming reforms? How are you preparing for the changes? Leave a comment below. The noise clause in the management statement is likely to apply to once construction has been completed and would refer to projects and renovation, domestic noise or vehicle testing, so there is certainly room to suggest the chairperson has misunderstood the intention of the Management Statement. Any lots that are not yet constructed will, as you suggest, fall into the State’s EPA guidelines which permit construction work on new sites between 7am and 7pm Monday to Saturday. Not to allow this could be considered discrimination and might even be subject to compensation for the to cost of delays. . . not something the strata company would not want to be liable for. Even if covered under the insurer’s office bearer’s liability, it would still impact on future premiums. If commonsense and the EPA doesn’t help, it may be worthwhile contacting the insurance broker for their advice on whether the strata is covered for an office bearer delaying lawful construction work – this could be something your builder is considering claiming as unreasonable time delays run costs out. If the broker agrees to find out on behalf of you (as an owner), you may receive an answer from the insurer’s legal team (via the broker) quite promptly as they don’t like paying out if it’s not necessary. Whichever way you go, remember that we all make mistakes so being educational rather than victorious would go a long way to making this strata company work better together into the future. Yes Survey Strata, there are such things ! Strata apartments are not the only thing in Strata. It sounds like this is a survey strata, ie. land not buildings is the strata? Our Committee Members do not present any mail correspondence at meetings and don’t acknowledge the items of concern in those correspondence items . I was sure there is a requirement for correspondence to be tabled. Secondly Our Chairperson stated that there shall be no noise on weekends and limited noise Mon to Fri between 9am and 4pm This was simply a statement No discussion was entered into and no vote or resolution submitted, However the Management Statement provides for noise rules and also states that Western Australian State Law and Shire Council Law over-rides any of the items stated in the Management Statement or Strata Act and that as such takes precedent over any statements made by the Council or chairma. Quite pleased about S137 and that there is a greater clarity on acting honestly, with loyalty etc and not make improper use of the person’s position to gain directly or indirectly or cause detriment to the strata company. Already seen declaration of interest when a matter arose for voting at a COO meeting. Written notice took the form of being recorded in the Minutes.